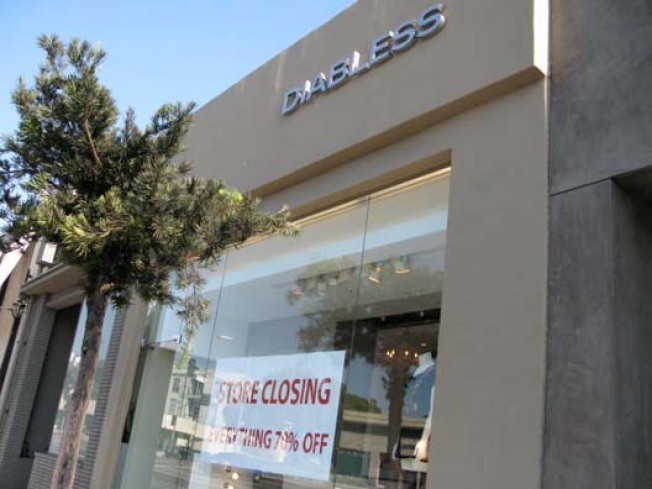 After less than two years at 8406 Melrose Avenue, French label/boutique Diabless is closing its only shop in the US "in about six weeks," per sales staff, who continued to say, "it's sad, the next collection is so pretty." The upside is there's a 70% off sale store-wide, the down side is the loss of its feminine, undeniably French women's apparel. We also noticed, the antiques gallery across the street is also holding a "going out of business" sale, though specifies at that particular location.